The grass cutting operation is regularly done to help change the perception that an oil palm plantation need not look like an uninhabited place, unkempt, dangerous to walk around and of no beauty. The proceeds from sales of the ffb (fresh fruit bunches) have been instrumental in providing the means to undertake grass cutting works at the park. This is because the grasses here are never applied with weedicide since day one. 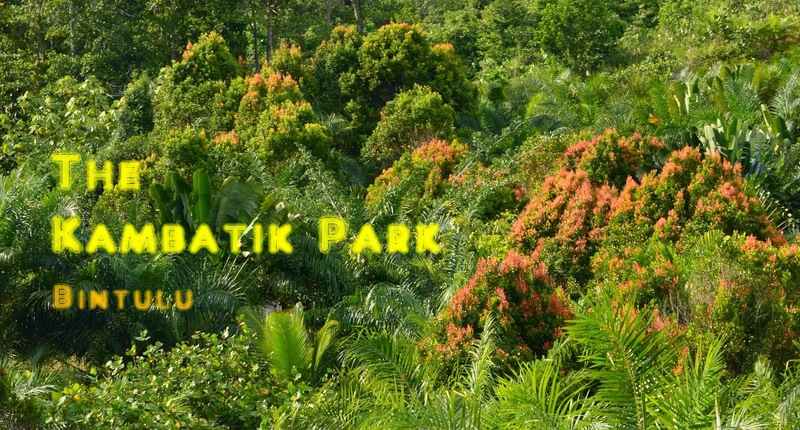 Based on the Kambatik landscape design philosophy and aesthetics, it is indeed a pleasure to work and walk around the park. After about ten years of development, the natural environment is flourishing well as evidenced by the return of wildlife to the park, chiefly the birds, butterflies and bees. Here are some photos showing areas of the park taken just after the grass cutting operation at Zone C, E and F.
View of Zone C, near Butterfly Garden, looking east. View of Zone E, looking west.